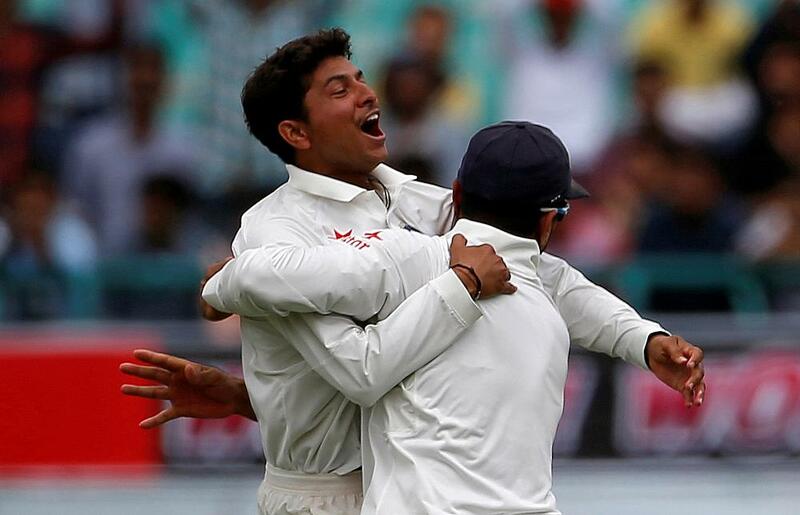 Kuldeep Yadav and Ravindra Jadeja shared seven wickets between them as India restricted Sri Lanka Board President XI to 187 in their first innings and managed to score 135 for three at stumps on day one of the tour game in Colombo. Sri Lanka BPXI won the toss and decided to bat first. Kaushal Silva (4) fell in the third over of the innings when he was dismissed by Mohammad Shami (2-9). Danushka Gunathilaka (87) and Lahiru Thirimanne (59) added 130 runs for the second wicket to keep the Indian bowlers at bay but soon the introduction of spinners changed the complexion of the game. Jadeja (3-31) provided the breakthrough when he accounted for the wicket of Thirimanne and also backed up with the wickets of Dhananjaya de Silva (0) and Ashan Priyanjan (2). 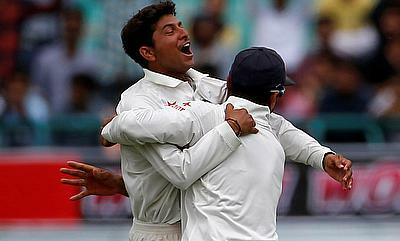 The world number one ranked bowler Jadeja also effected a run out that saw Gunathilaka miss out on a century by 13 runs. Any chance of a comeback by the hosts was put-off with the introduction of Kuldeep (4-14), who cleaned up the lower order to wrap up the innings for 187 runs. Sri Lanka BPXI lost nine wickets in a span of 48 runs. Vishwa Fernando (2-21) provided Sri Lanka BPXI some respite with the wickets of Abhinav Mukund (0) and Cheteshwar Pujara (12) but contribution from Lokesh Rahul (54) kept the innings going with a 58-ball knock. Even though, Rahul fell, Virat Kohli (34 not out) and Ajinkya Rahane (30 not out) played handy knocks to take the total to 135 for three at stumps.